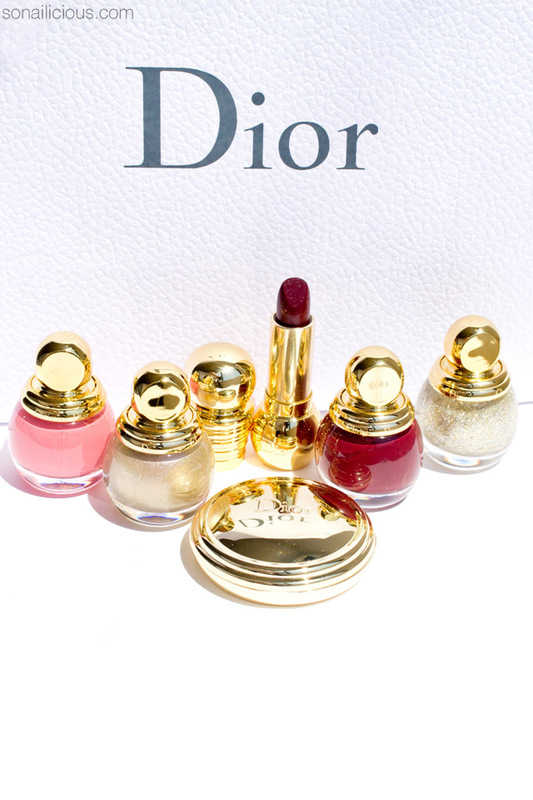 Introducing Dior Diorific State of Gold: the last and probably, the most coveted collection in our Holiday 2015 odyssey. The beautiful round Diorific bottles, impeccable formula and one of a kind colours make this collection a real stand out. Like many festive beauty ranges, it’s a limited edition. So, polish addict to polish addict, I recommend make up you mind now. These colours won’t last and unless you want to pay $300 for a limited edition bottle of polish on eBay later, act quickly! Diorific Passion: bright red creme with a very subtle shimmering effect. 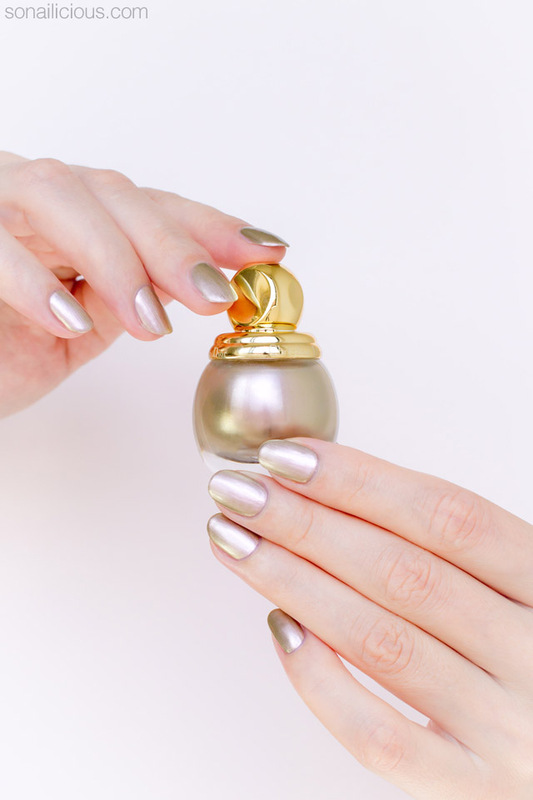 Diorific State of Gold: super fine glitter bomb featuring gold and silver glitter in a platinum shimmer base. Diorific Gris-Or: elegant grayish-gold duochrome that shifts to a metallic light pink and includes extra fine gold and purple shimmer. 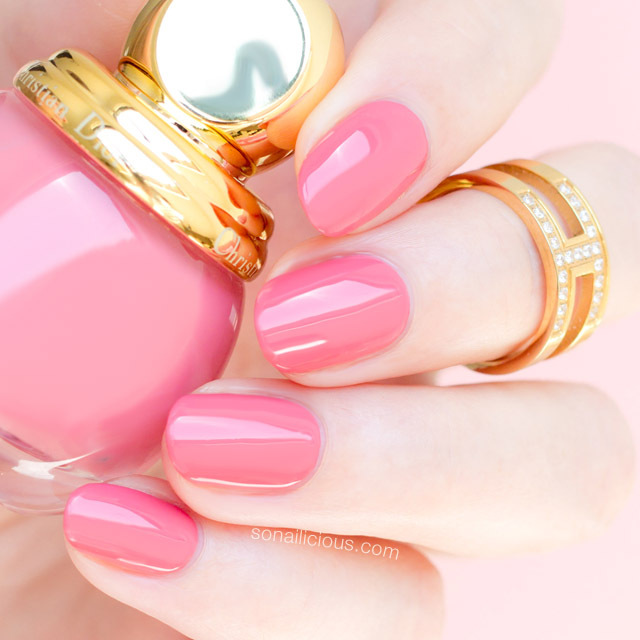 Diorific Secret: very flattering and elegant shade of vitnage pink. 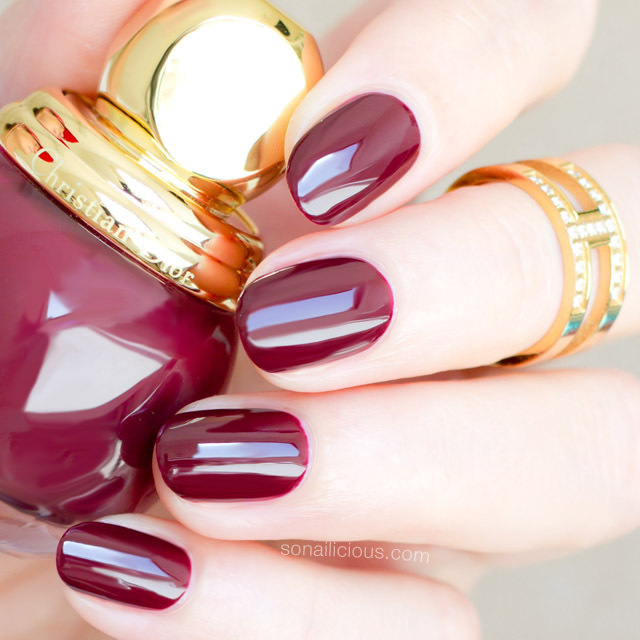 Diorific Mystere: ultra glossy cherry creme. If you need more info to help you to make a decision, read our detailed review below! Formula: 5-free. Very fast drying and highly pigmented. 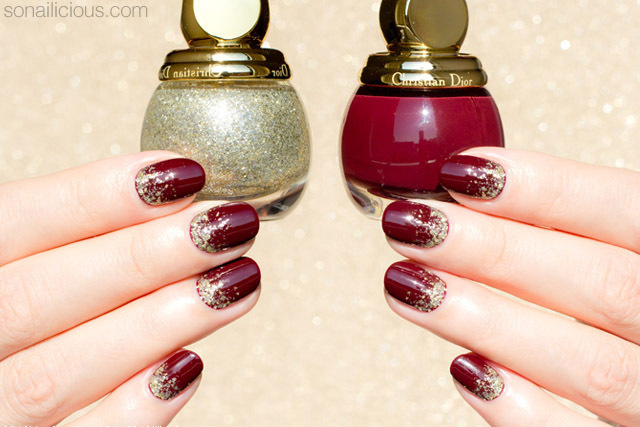 You’ll only need 2 coats to get full opacity with Diorific Mystere, Secret and Passion. Diorific State of Gold is a very thick glitter, 2 coats will get a fully opaque look (this glitter application trick will be handy). 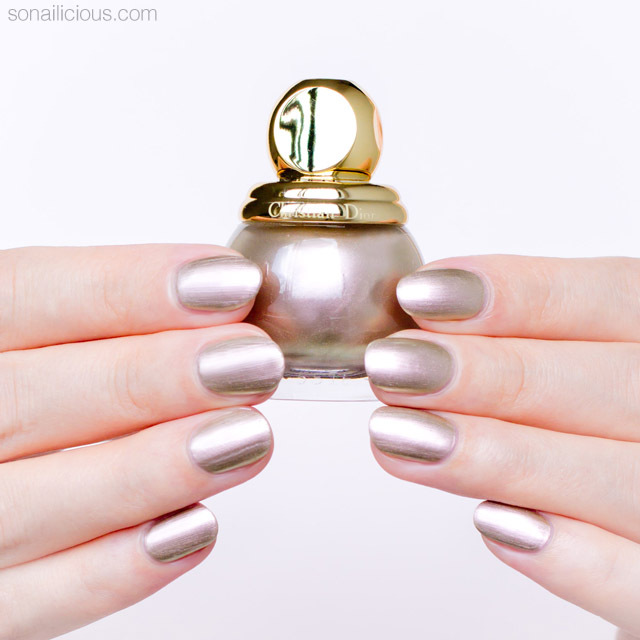 Diorific Gris-Or is on the sheer side, you’ll need 3 coats to get it fully opaque. Application: Dior brush fans, I have some awesome news for you. 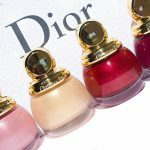 Finally, Dior have changed the brush (no more long and thin brush here) and from now and on all Diorific polishes feature a thick rounded brush that makes application easy. 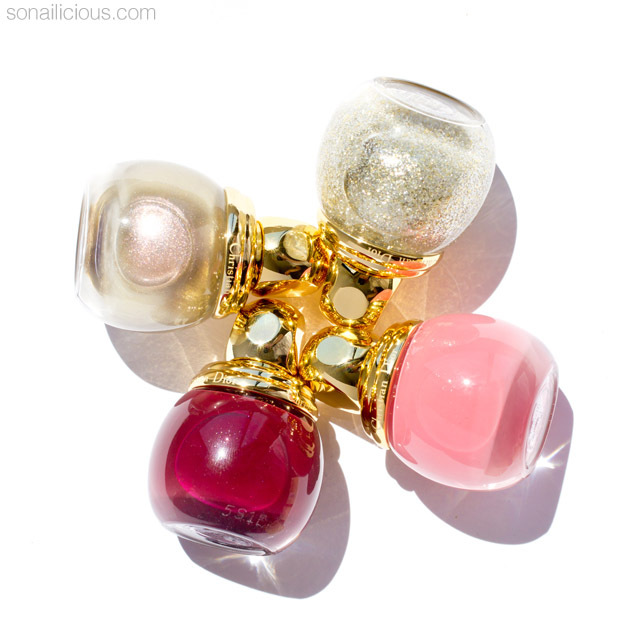 Finish: Diorific Mystere, Secret and Passion are classic glossy cremes. 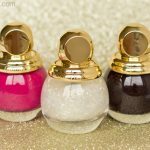 Diorific State of Gold is a super fine gold and silver glitter bomb. 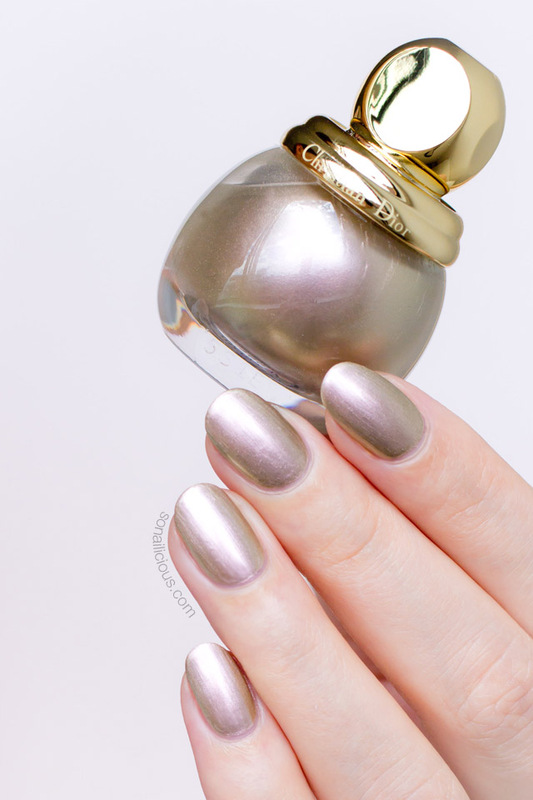 Diorific Gris-Or is a subtle champagne gold duochrome with extra fine shimmer. 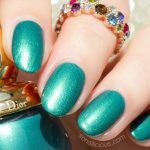 Wearability: All Dior polishes are long lasting. The ones I tried all 4-5 days without chipping. Nail Art: Great for any kind of nail art and quite beautiful on its own. Diorific Gris-Or looks amazing mattified and Diorific State of Gold is perfect for glitter gradients. Overall Impression: Ideally it’s nice to have the entire range but if you are not at that stage of polish addiction yet, I’d recommend Diorific Gris-Or. It’s an absolute must-have and a truly unique colour. It’s hard to photograph becuase it’s very hard to catch the changes of it’s colour (hence photos in different light), but believe me it looks amazing on nails. 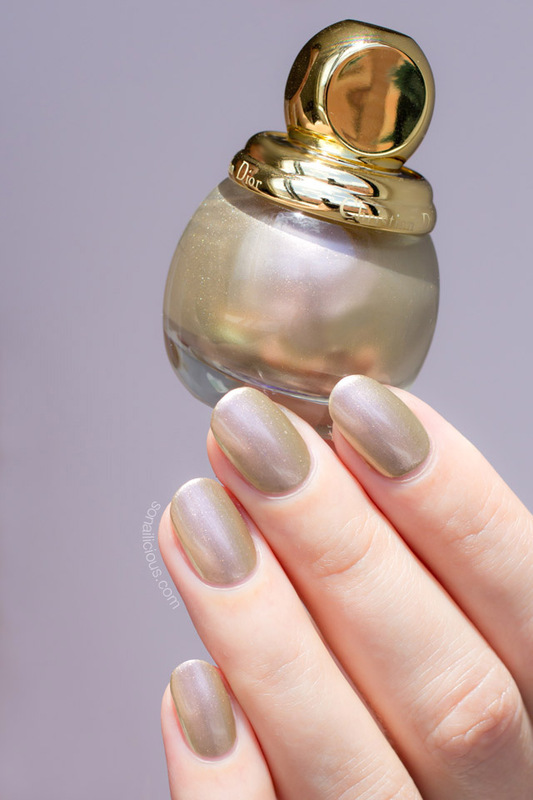 My second choice/s would be Diorific Secret, Diorific Mystere and Diorific State of Gold and followed Diorific Passion (in case you don’t have any Diorific reds, i.e. Diorific Shock). 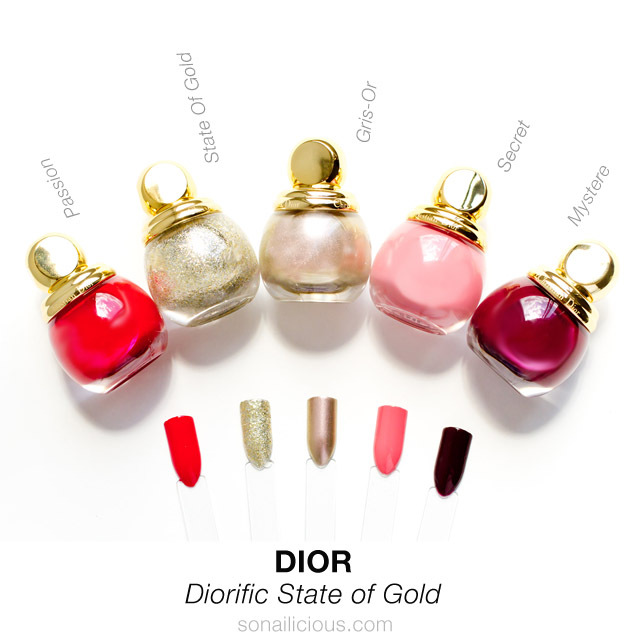 Availability: Dior Diorific State of Gold lacquers available CAD/US $28, here and Europe £20.50, here, in Australia, AUS $43 here. Wearing: Gold Knuckle Ring with Diamantes. So, what do you think about this collection? What’s your favourite colour? Will you be getting some? 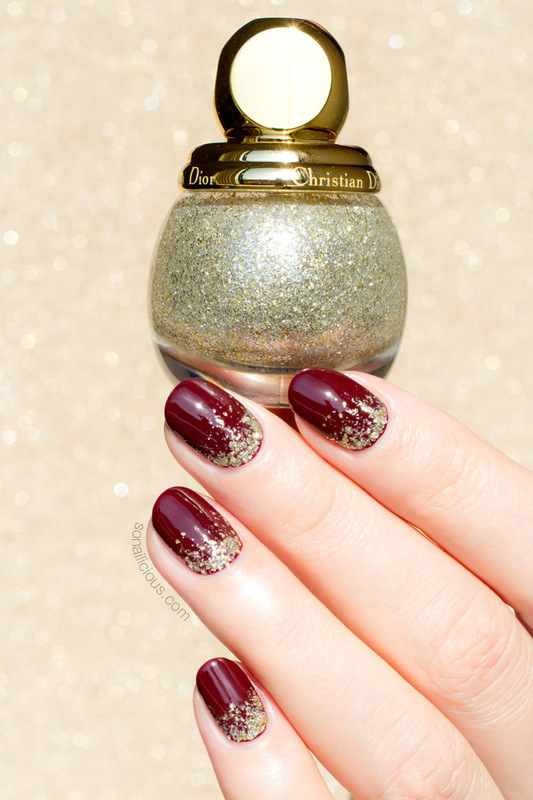 ***Looking for some edgy Christmas nail art inspiration? 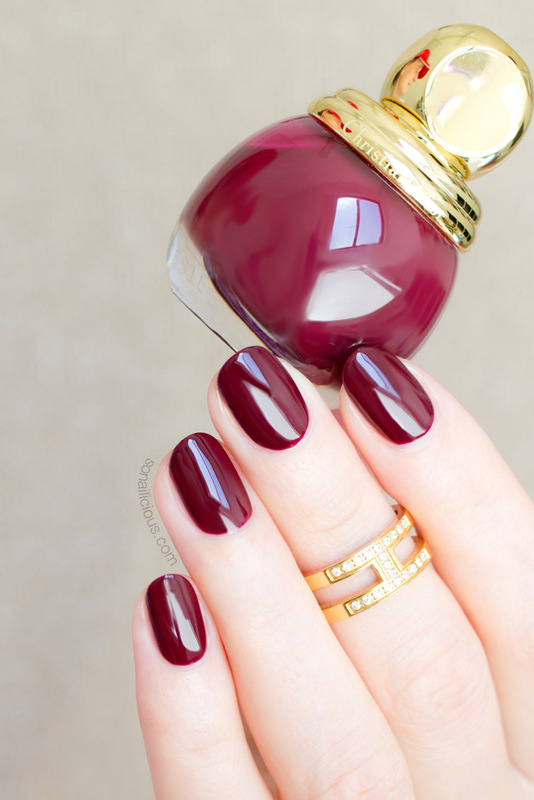 You’ll love this nail tutorial.